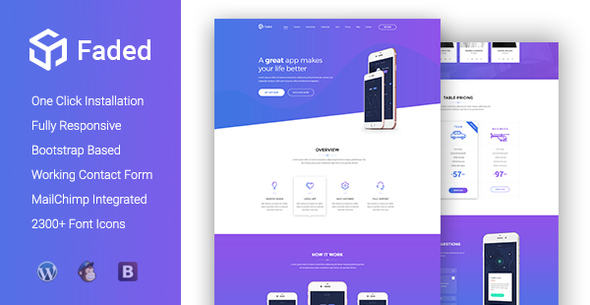 FADED is a modern App Landing Page WordPres Theme – beautifully crafted for using in any related product in the industry like mobile apps, saas applications, software, digital products, even books or magazines. This template is fully responsive, so you have the power to make your new landing page look awesome on all types of devices built with Faded. NB: Images shown on demo are only available on the demo/preview and not included in the main purchase files.